OK, before we get started, let me go ahead and tell you what Höyük means (because, if you are like me, if I don't tell you now you will be spending the entire article thinking what does it mean). Höyük is actually Turkish for hill or mound and is also used in naming many settlements in the area. The houses of these settlements were built on top of hills and on top of other houses. There were no streets between the houses and access to them was usually through the roof. There is a lot of history behind these settlements, but let us focus on the fact that this once 'print and play' game is going to be on Kickstarter later this month (February 25th - mark your calendars) as the MAGE Company has decided to publish Höyük. 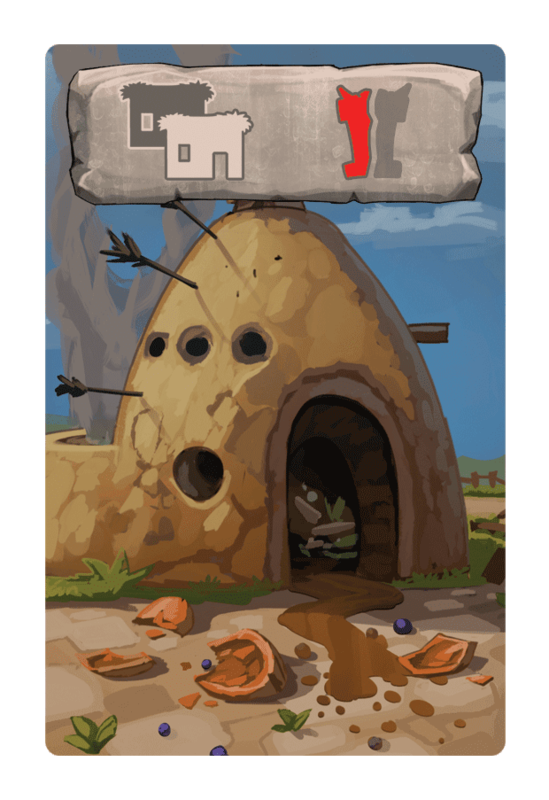 Höyük was first made available as a 'print and play' (PnP) game back in 2006 where all the files (rulebook, printable game pieces) could be downloaded, printed out (or otherwise made), and then played. 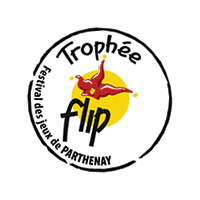 Höyük received the 2007 Parthenay Game Designer's Trophee; where prototype games are judged by a jury and public with the winner being the highest combined rating. I noticed the announcements from MAGE Company that they planned on publishing Höyük and the artwork really caught my eye. One of my favorite games just so happens to be Carcassonne, another tile laying game based around building a past civilization. 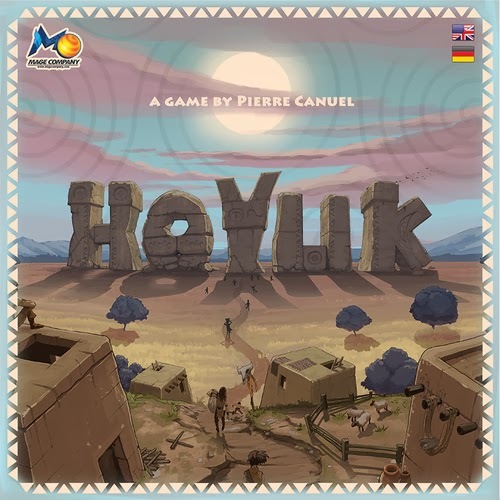 So, from France to Turkey, Höyük looks like it will be another enjoyable tile laying game. I had the great opportunity to ask Höyük's designer Pierre and MAGE Company's Alex and Michael a few questions regarding the upcoming Kickstarter project. Can you give us a short history of your company and how/why you got involved? Wow..way back. We started designing games back at 2001 in a box room with a messed up computer and year by year we were learning things about the industry and the million things we must know in order to deliver a finished product. In 2011 we finally created MAGE Company publishing our first two games and since then we have continued to publish and grow (and of course we continue to learn and become better). This is what we do and this is our life and we would start again from the beginning if we had to. It seems like it would be difficult to determine what games to publish and which ones not to. Please tell us, what made you want to publish Höyük ? Some games shine, you know...you may see a game on a table and it is like it is talking to you. I know it sounds silly, but it is true. Höyük was one of them. 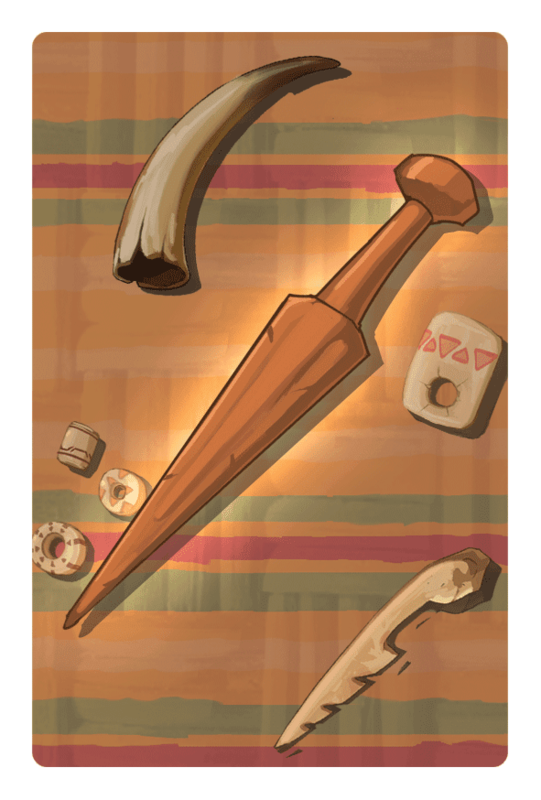 Simple, easy (with some changes), for a wide range of ages, strong theme, and we were looking for a game with a theme like this - Neolithic Area, nice ideas for components, no texts in the cards, many people had already tested it as it was a PnP. So, what else could we ask for? As you mentioned, this was originally made available as a print and play back in 2006. Why use Kickstarter and why now (around 8 years later)? We did not know that the game existed since then. I know that some companies had seen it, but did not work on it. So, a couple of years ago we saw it and here we are. It is also a matter of the designer and how he handled this. Kickstarter is a great tool and makes you so visible to lots of people. We have worked hard, and we have already made games there and many people know that they can trust us. The released artwork is looking incredible. How did you choose the artist and how important is the artwork aspect to you personally or as a company? Automatic inspiration in combination with experience is how we chose an artist. We also have a variety of over 120 artists available, so it is easy to choose since we have worked with them in the past. Artwork reflects on how serious we see a game and we want people to understand that we do not follow the copy-paste tactic. We search for each game to reflect what it represents through its artwork. The Kickstarter is going to be starting February 25th. When can backers of the game expect the final published version? The campaign will end on March 31, so based on initial calculations... sometime in August. Will there be any stretch goals or Kickstarter exclusive content? A lot!! There will be lots of stretch goals to be honest. Not exclusive, but all will be upgrades to the basic game so that everyone can have the equal chance to enjoy this game. I don't want to get a head of myself but do you have something planned after Höyük? Our program has been arranged at least for the next few years, but each year we study the market for the next one and make some changes. But to answer your question, yes, we have other games on the pipeline...thankfully. Thank you Alex and Michael for taking the time to answer a few questions. Keep the great games coming! Now I get to pick the brain of Höyük’s designer Pierre Canuel. Pierre, I love board games and I am currently designing my very own game. So, it is always exciting for me to interview someone who has created a successful game. If you were traveling to the International Space Station where you would stay for months on end, what 3 board games would you bring with you? Rather than bringing games, I would probably gather a few objects that would allow me to design the very first Zero-G friendly game ever. Could you imagine playing Carcassonne or Ticket to Ride with game pieces floating all over? Favorite hobby other than board games? I like to walk in nature or ride my bicycle in town. Can you give us a little background about yourself and how you decided you wanted to create a game? Tell us how Höyük came about. Was there any specific inspiration from other games, books, or personal experience? The starting point of Höyük was really a small scale reproduction of ancient settlements that I would see in museums. I wanted to design a game where players would actually build a replica of ancient cities, in 3D with small pieces representing houses, buildings, workshops, etc. So, more than a game, it's a gaming object that I had in mind, that one could display in the living room, such as a nice chess set. Describe Höyük in one word. Two words. And three words. Fun! Interesting Object! Build Prehistorical settlement. Who will enjoy playing this game? I believe Höyük can appeal to a large public. It's true its many components may imply it's a complicated game for advanced gamers, which may repel occasional gamers. But it's quite the opposite. 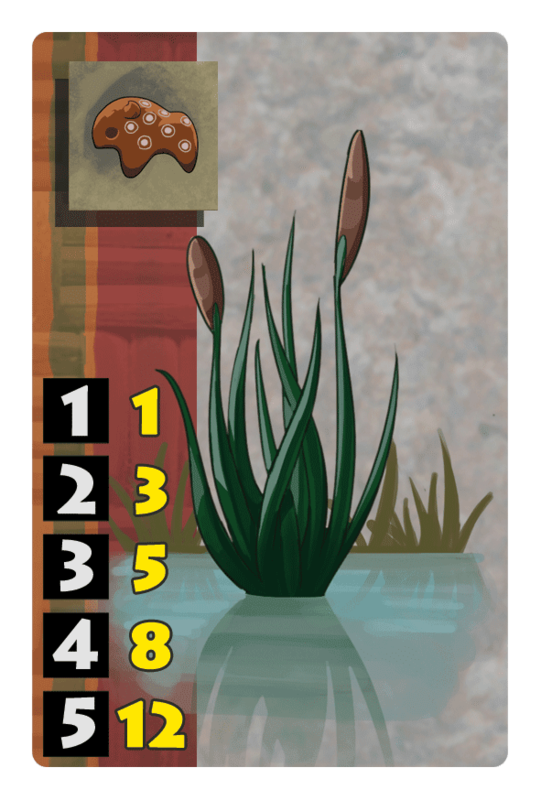 Very often people are surprised by its simplicity after their first game. I like to ask this question a lot. I love games where I can play with just my wife after the kids have finally gone to bed. How well does Höyük play with just 2 players? Be careful it can be risky to play games with your wife ;). 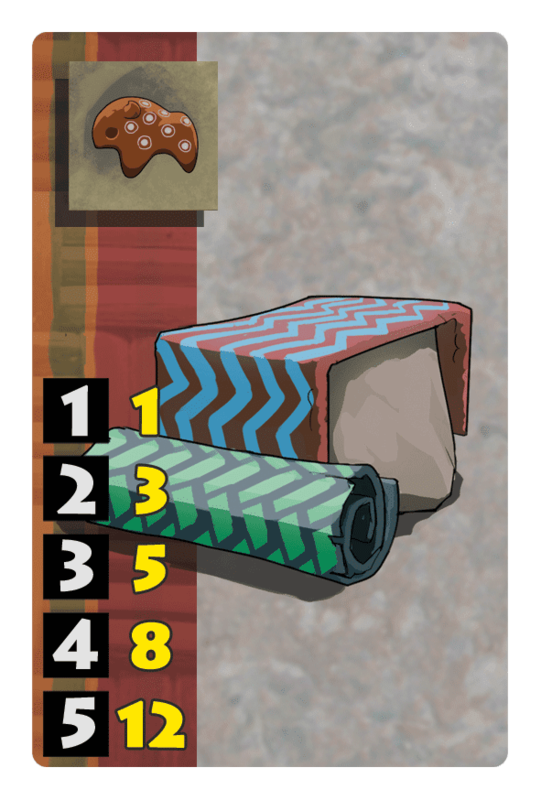 With two players, I have the feeling that Höyük performs almost like an abstract game. Instead of placing black and white pawns on a grid, you lay colorful pieces directly on the table, with the same simple choices and rich strategic options. But this reply is based on the PnP version of the game. As I know, MAGE Company is working on several changes right now. What is your favorite thing about Höyük? 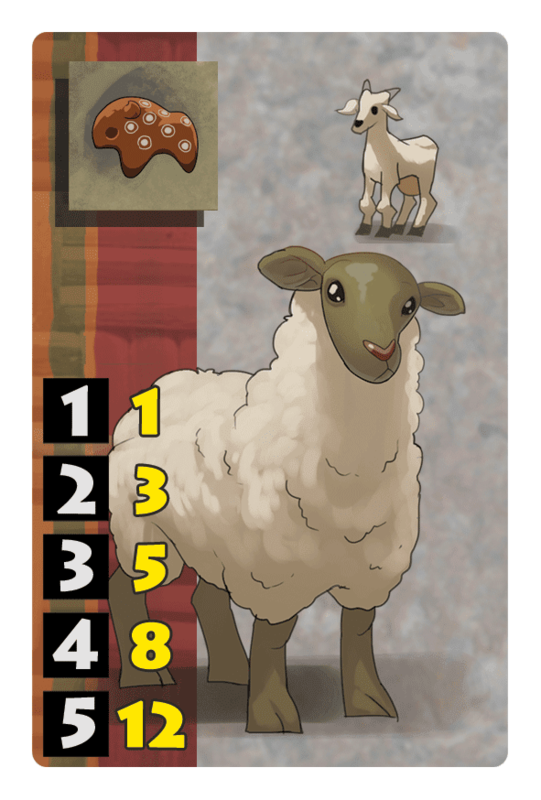 Again, it’s the game object I really like about Höyük. The aesthetics. If anyone could bring a copy of the game to Catal Höyük in Turkey, play a game, and send me a picture, that would be awesome! Catal Höyük is the actual archaeological site that I got inspired from. I even sent a copy of an earlier version of the game to the archaeologists to have them test it and send me their input. I don't think they were really pleased with it, but they took the time to answer me. I think the game was at that time a tiny bit too complicated, and they were probably expecting something closer to their preoccupation, that is more like a simulation of a settlement, with food gathering, farming and artifacts production. 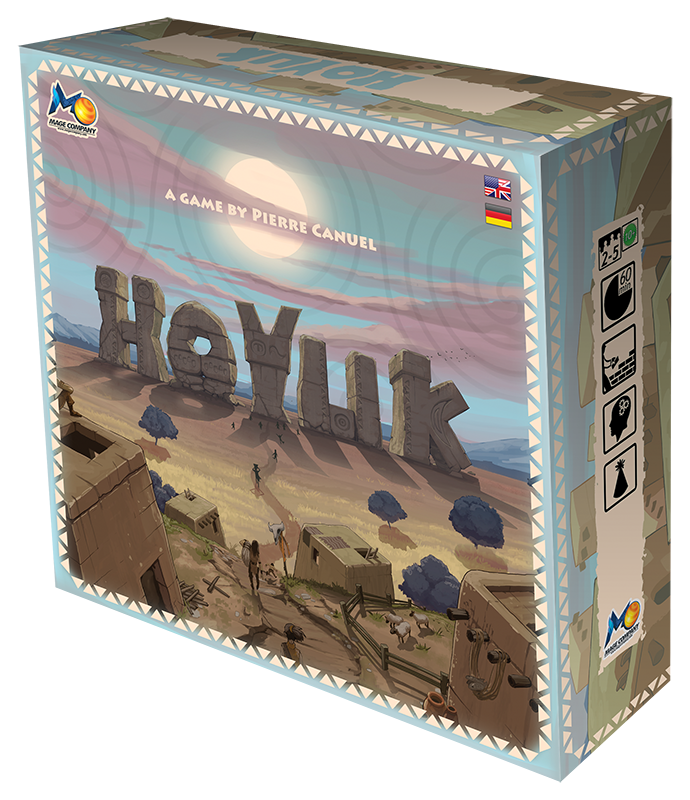 Höyük is really oriented toward the urban construction aspect (PnP version). What's next for Pierre Canuel? Game-wise, I don't really know. I'm too involved in my job to save energy for any game design. Publishing Höyük after many years in stand-by could be a good incentive to start again. Many thanks to MAGE Company! And there you have it. Thank you again to Alex, Michael, and Pierre for taking the time to answer my questions. 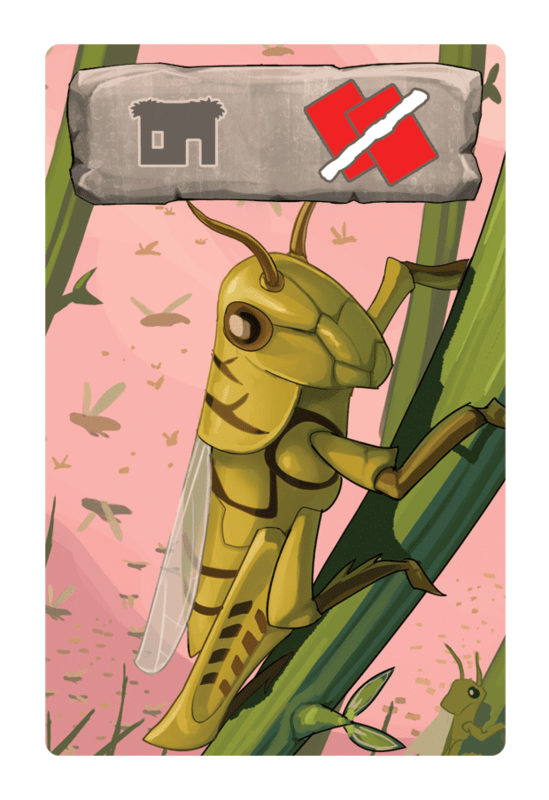 You can check out some more information regarding Höyük here at its Board Game Geek Page and stay tuned for an updated link here in this blog post and to the right side of my blog to the actual Kickstarter project when it actually becomes active February 25th. If this sounds like a game you might enjoy, feel free to visit the Board Game Geek page and download the available PnP files to try it yourself! I'm excited to see more of Höyük soon and that is How Lou Sees It!